Headquartered in Boca Raton allows us easy access to all 3 major airports and seaports in the Tri-county area, FLL – Fort Lauderdale – Hollywood International Airport, PBI – Palm Beach International Airport, MIA – Miami International Airport. At Black Pearl Limousine, we are committed to providing you with first-class private car service. Our fully licensed and insured vehicles and professionally credentialed chauffeurs will help you with your luggage and provide every assistance possible – be it the disassembling/assembling of a motorized scooter, installation of one of our courtesy car seats, or anything requested. Our chauffeurs monitor all flights in real time via flight trackers to ensure you get picked up on time in the event of early arrivals or flight delays. In business since 2004, in October of 2015, the business changed hands and got a major overhaul. Administrative offices were moved to Boca Raton and all staff were re-trained in hospitality management. With upgrades in vehicles, progressive looking uniforms, and cutting-edge technologies in place to facilitate better communication with clients, BPL continues to take it to the next level. 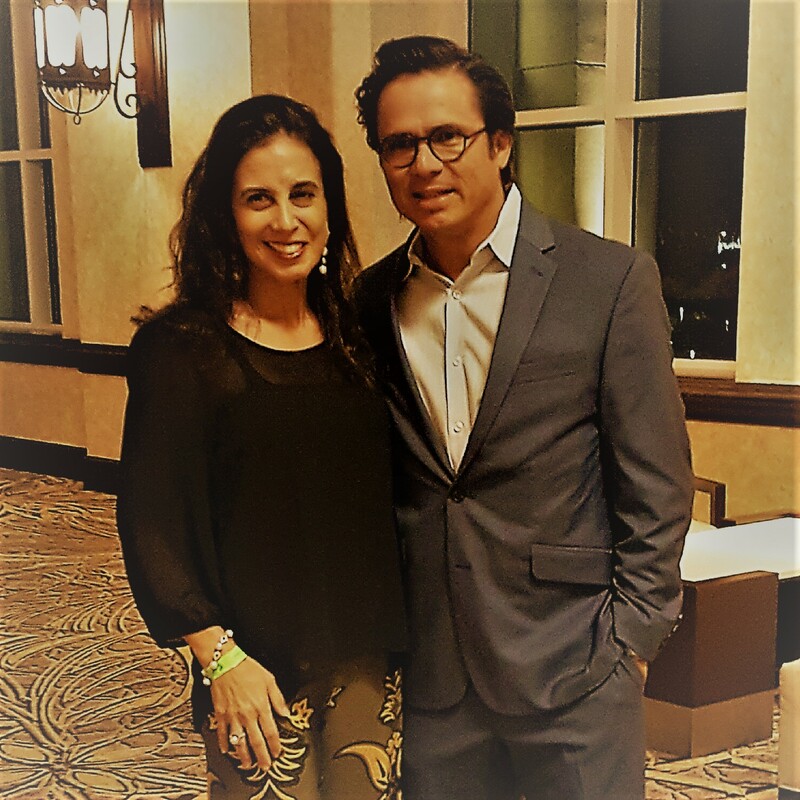 Happily married 19 years, Darah and Joaquin have lived and run businesses throughout Costa Rica, Panama, and South Florida. Joaquin is an accomplished businessman who has decades of experience in Corporate America and Corporate Latin America managing first class companies and always achieving operational efficiencies while making them more customer-centric. Darah, an award-winning author and inspirational speaker, is solutions-driven and strives to help create unforgettable service experiences for clients. She loves helping people and thinks creatively to problem-solve and work with most budgets. Together, they are fearless, restless, and determined to grow the Black Pearl brand into a first-class travel and hospitality enterprise. And what is their shared inspiration? Their 5 amazing kids Yordana, Leah, Natan, Yair, and Dalia, ages 17 – 10, a Chihuahua named Riki who never stops barking, rescued cat named Luna who keeps Riki company, a shared passion for tennis and an incurable addiction to coffee.